Life is coming fast at twenty-something April. All the heavy stuff of adulthood—including the death of a loved one—seems to have happened to her all at once, leaving her reeling, and challenging her wit and grit in ways she never imagined. In a stirring portrait told in keenly etched scenes, Death and Other Holidays follows April over the course of a year, with a candid insight that’s tender, playful, and sparkles with originality. poetry collection At the Border of Wilshire & Nobody. She lives in Los Angeles. 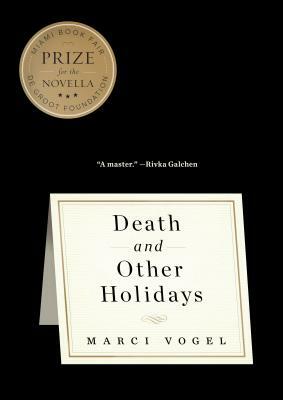 Death & Other Holidays is her fiction debut, and won the inaugural Miami Book Fair/ de Groot Prize, the only American literary award honoring the novella.